Instandhaltung sichert Anlagenverfügbarkeit. Bei komplexer Vielfalt an Feldgeräten eine anspruchsvolle Aufgabe. Wie diese trotz wechselnder Anforderungen und rückläufigen Personals mit einer Cloud-Lösung effizient bewältigt wird, zeigt das Webinar. Manufacturing advancements underpin enhanced sizing flexibility for Auma’s part-turn GS gearboxes. Three duty classes, (1, 2 and 3), have been introduced to support all anticipated operations across predicted valve lifetimes. Electric actuator manufacturer Auma announces that a Hart interface option can be ordered for the company’s AC .2 and ACExC .2 controls. A new electronic position transmitter designed to simplify end position adjustments for actuators has been developed by Auma. The EWG is compatible with its predecessor, the RWG, which ensures rapid replacements and retrofits. Auma’s compact SGC part-turn and SVC globe valve actuators have been considerably enhanced. Actuators for hazardous environments are a necessity for explosion proof valve control. Now Auma takes its new SQEx .2 part-turn actuator to the market – product is the explosion-proof version of AUMA’s SQ actuator introduced to market at the beginning of 2013. Electric actuators for automating industrial valves. Multi-turn actuators and part-turn actuators for open-close and modulating duty with wide torque range. Intefaces to all DCS systems available established in process automation. 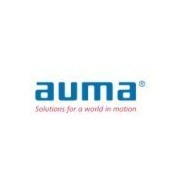 Auma, manufacturer and global supplier of modular electric actuators, has announced that orders can be placed for its new part-turn actuator.